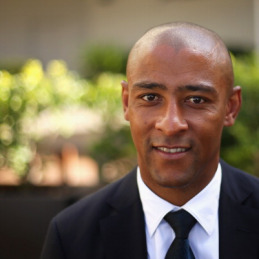 George Gregan exploded into international rugby in 1994, playing a pivotal role in Australia’s Bledisloe Cup win with a try saving tackle in the final moments of the game. He would go on to become the world’s best scrum-half, captain Australia and play more matches for his country than any other player in world rugby history. Calculated and accurate with polished defensive skills, George had a gifted ability to put opponents, regardless of size, into the ground. He would forge a career that would see him regarded as the most aggressive and competitive scrum-half in world rugby. In 2001 George was named captain of the Australian team, would be awarded the International Rugby Player’s Association Player of the Year, and win the inaugural Rugby Medal for Excellence for outstanding performances on and off the field. George and wife Erica have three children; Max, Charlie and Jazz. After Max was diagnosed with epilepsy, George set up the George Gregan Foundation to raise funds for hospital children’s playgrounds and to train doctors specialising in epilepsy. George is the owner/manager of four espresso bars, GG Espresso, in the Sydney CBD and North Sydney and is part of the Fox Sports Rugby commentary team.